I read an article not long ago that addressed food waste. We undoubtedly throw a lot of food away that we should be eating, and we certainly also aren’t using our resources as efficiently as we could. Raising cows for meat, for example, requires a lot more resources than the equivalent amount of calories we could get from various plants. I’ve lost the link to the story, but the salient point was when a chef was talking about using zucchini stems as a substitute for penne pasta. 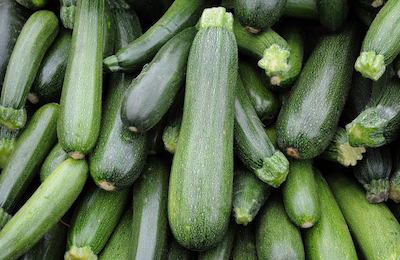 If you read this column, you’ll know I have a garden, and you probably won’t be surprised to learn that my garden includes zucchini plants. I stress the “plants” part of that sentence, because I have yet to grow a single edible zucchini. So I was all in favor of using the parts of the plant I have grown, if only to satisfy myself that the whole thing wasn’t a complete disaster. Perhaps I’m growing a particularly difficult version of the stuff, but the stems I took from my plants the other day were not edible in any practical sense. They were more like straws made of pipe cleaner-strength fibers, but harder to chew. I tried to remove the stringy bits with a vegetable peeler, but as it happens zucchini stems are not all that robust and the peeler ended up cutting straight through the stem, leaving me with a straw-shaped hole. In gustatory terms a straw-shaped hole is about as useful as an aircraft carrier-shaped hole. It’s a whole lot of nothing. I did also try simmering some of the stems I’d scraped lightly with a paring knife to see if the fibrous strings would magically soften, but I didn’t hold out much hope and as it turns out my pessimism was justified. What’s more, the damn things not only had the texture of year-old celery, they had no taste whatsoever. I guess my point is that you shouldn’t try to cook zucchini stems as a substitute for penne pasta, because zucchini stems may technically be edible, but life is too goddamn short to eat zucchini stems. On the other hand, if you have successfully cooked zucchini stems please tell me your secret. I’ve got four or five plants left that are flowering like crazy but showing no signs of actually producing fruit, and I’d very much like them to end up as something other than mulch.